Learning and growing through creativity, play, and a lot of love. Since I have recently added a lot more craftiness into my life, I wanted to do something special and homemade for Zel's grandmothers this Mother's Day. I came across an idea that spiked my interest on My Crazy Life as a farmers wife. It was a bit of an undertaking but I committed to it. Instead of ordering the hang tags, a friend suggested to use old gift cards as the base. I loved this idea and had tons of old cards lying around (Zel loves plastic cards, so I always give him the used ones). First I cut the gift cards in half and trimmed it so that the corners were rounded. I chose a color that matched the cardstock print and painted one side of the gift card. Make sure to do at least 2 coats. While the final coat is still wet sprinkle some glitter on it so that it will dry and stick onto the paint. Once the paint is dry, place the card on the card stock and trace around it with a pencil. Then cut out the shape and use spray adhesive to glue it to the empty side of the card. Once the glue dries, choose what you would like to write on the back of the card. 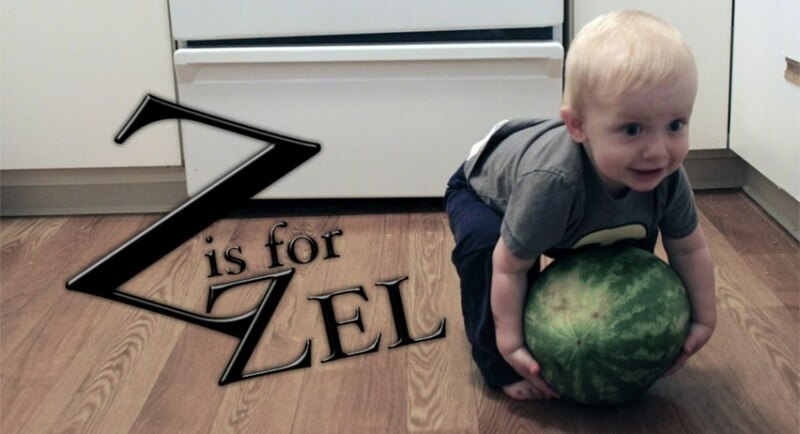 I chose the letter "Z." When you place it, remember that you will be punching a hole in the top for the key ring to go through. After carefully placing the stencil, tape it down to avoid movement. I used silver metallic paint. Just make sure you don't use a lot or it will bleed. While the paint is drying, cut your photo to the shape and size desired. Use spray adhesive to glue it to the glittery side of the key chain. Then punch a hole in the top center of the key chain. Coat both sides with several layers of mod podge. Make sure you get the gloss kind so that it dries clear. Once it dries, slide your key ring through. Whoever receives this will be sure to love it! The key chains are super cute! That is a fantastic idea. Thanks for sharing with us at tip toe thru tuesday! Can you put the scrapbook paper on with modge podge? I think it will stick better if you glue it down and then mod podge over it. Just what I was looking for to make for Christmas presents! Thanks! How'd you cut the cards? I'm going to make keychains for my nieces dance team. but was wondering what's the easiest way to cut the cards? I used a sharpie to trace the shape that I wanted the card to be and cut along the line with my kitchen scissors. I suppose that if you weren't doing rounded edges then you could use a paper cutter. Turning Failed Bath Crayons into Fun! I am a stay at home mom who spends her days taking care of a crazy, smart, adorable two year old boy and keeping her home just clean enough. My son is my passion and I am looking forward to sharing our experiences in learning and growing.